One of the highlights of walking through Herman Melville’s home at Arrowhead in Pittsfield, Massachusetts is the central fireplace in the dining area. Its grand size and fine stone work dominate the room and evoke a time when all the heating and cooking came from that one source. What is most unusual here though is the writing above and across the fireplace. It quotes from Melville’s whimsical story “I and My Chimney” which first appeared in Putnam’s Monthly in 1856, six years after Melville moved to Arrowhead from New York City. The story is of a husband’s determination to save the destruction of the chimney in his home from his equally determined wife to have a central hallway, instead of a space-wasting chimney. Melville speaks of this chimney as a person, even a friend, and a close one at that: “I and my chimney, two grey-headed old smokers reside in the country.” The two of them are “old settlers,” putting the chimney on the same human level as the narrator. Melville explains the unusual construction placing the “I” before “my chimney” in the title as the only time that he actually takes precedence over the chimney. In grand humor and 19th century majestic style, Melville describes the female head of household’s attempts to rid herself of the chimney, hiring architects and enlisting her daughters to convince her male counterpart of the multiple reasons to rid herself of this domineering structure. “I will never surrender,” says the protagonist, reassuring his pipe and his chimney that he will prevail. I have my own chimney problem, and it is my 22-year old push lawnmower. Purchased for barely more than $100, my walking companion has served me well in three different residences, suffering through ten years of neglect while in storage. Upon his release, though, he started right up and, as long as he can avoid rain in the fuel tank, he has never let me down. 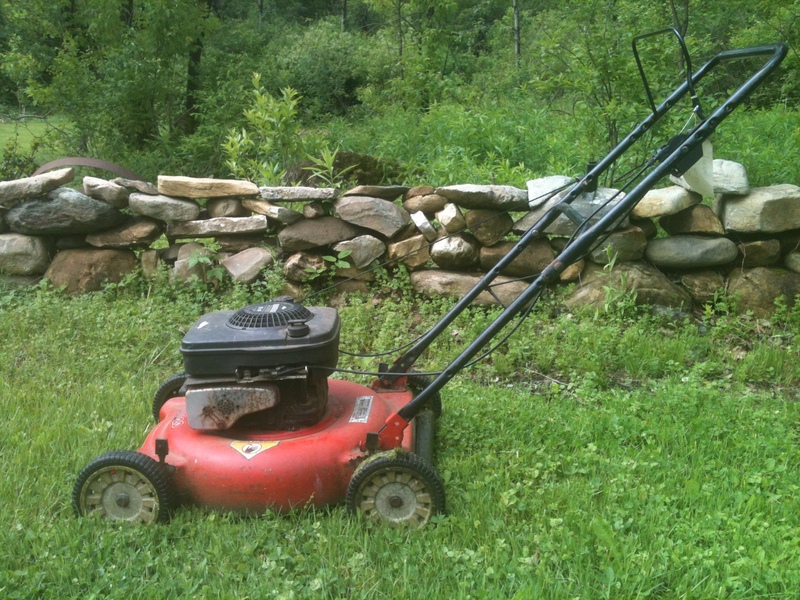 This faded red gas push mower has outlasted a brief flirtation with an electric/battery model with its commitment to a green environment as an enticement. Barely five years into this newer arrangement, the battery model could not keep up with either high grass or more lawn. With barely an apology, the old push mower took me back and has remained faithful since. We are alone in our weekly endeavors. My wife and pretty much any outside observer think me mad, for walking around these almost 2 acres with such an outdated, hard to operate companion. The hot sun, the uneven terrain, the long grass, the obstacles of rocks and roots and trees conspire to leave me exhausted each time. My wife claims it will be the end of me. I call it exercise which will make me stronger and live longer. Melville was on to something, that genius of human nature and descriptive detail. From even before his time, he knew that every marriage needs a chimney or a lawnmower, to test its foundation and durability. I only wonder what his quill pen would do to my lawnmower. 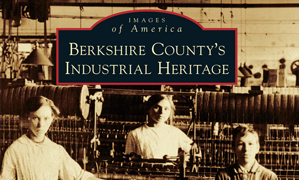 This entry was posted on June 10, 2013, 12:29 pm and is filed under Berkshires, Personal memory, Public History. You can follow any responses to this entry through RSS 2.0. You can leave a response, or trackback from your own site. An update. My lawnmower expired. It was still running, and I took it for a service. It did not return, with the small engine repairman saying it needed a new carburetor. “It’s not worth spending the money.” A sad day, but now a new chapter begins. The replacement lasted 20 minutes before I had to take it back for an exchange.